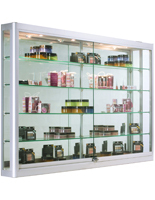 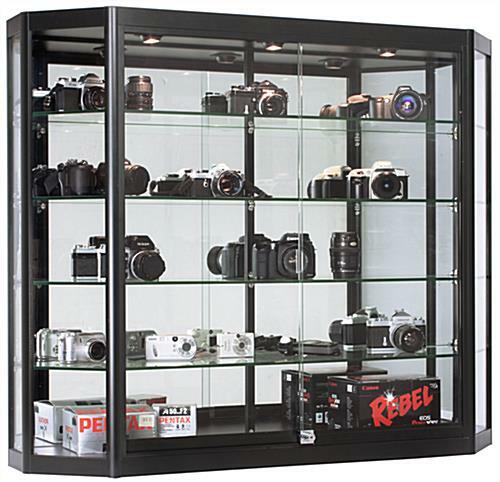 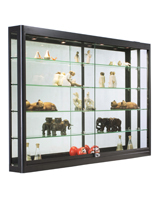 Free up floor space in your store by placing items in this wall mounted LED display cabinet which features adjustable glass shelves and overhead lighting. 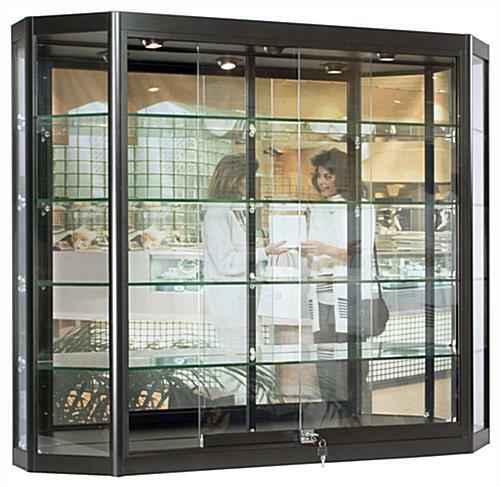 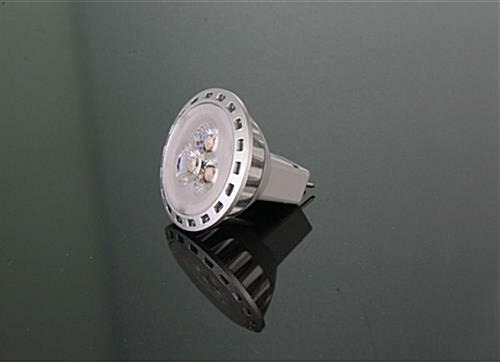 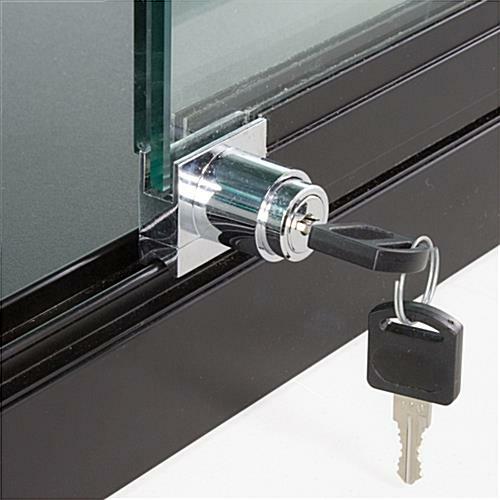 Robust aluminum framing promises long lasting use of this case in any busy environment. 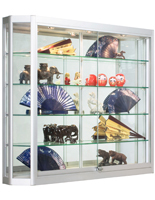 These lockable display cabinets come with a plunger and key set that offers peace of mind knowing your merchandise is safe from accidental breakage. 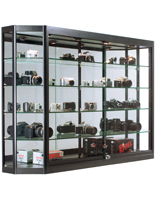 Each of the 4 tempered glass shelves sits on adjustable rubber padded clips to hold larger items with a maximum load capacity of 30lbs. 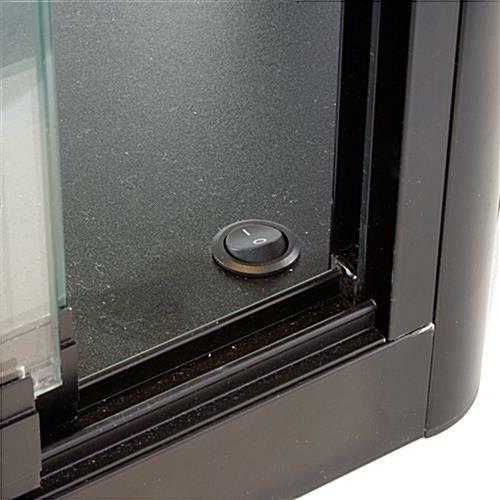 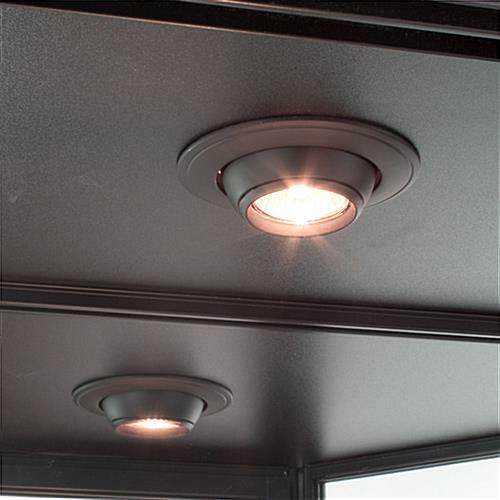 For your convenience a power switch is located inside the sliding glass doors to turn the lights off without having to search for the outlet. 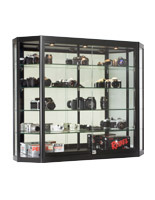 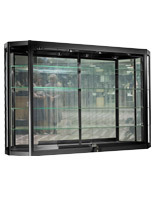 Grab a display cabinet for your business to take advantage of this unique angled case design and efficient lighting system!